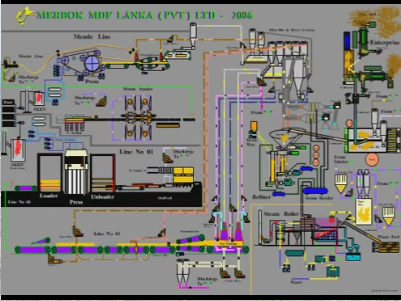 In 2002 the Merbok Group successfully installed and commissioned it’s first MDF production line in Horana Sri Lanka. In late 2004 Merbok commissioned it’s second production line for the production of “thin” MDF as well as a short cycle laminating line. In 2011 the company added a second short cycle laminating line increasing the production of value added product including larger laminated panel sizes. The factory is close to the port facilities in Colombo - the center of the Indian Ocean - and is therefore able to provide high standards of service to customers in both the Indian Sub Continent and the Middle East. The skilled production team at the high technology factory produces MDF products in the range of 2.2mm to 30mm in standard and moisture resistant grades to exacting international quality standards. The factory is also capable of producing a wide range of high density products for special applications as well as the range of GlobalArt Laminated MDF Products. All wood processing industries are reliant on forest resources, either directly or indirectly. Forest resources in the form of wood fibre provide the basic raw material for the manufacturing of MDF. 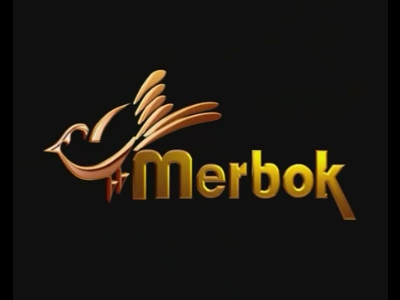 Merbok utilises waste wood, sawmill waste and residual plantation logs that are harvested and replanted cyclically. Merbok is also engaged in its own plantation program through its highly successful small holder tree planting program. Quality products enhance good designs, making it possible to economically turn ideas into magnificent applications while complementing a setting with its own identity. Merbok's product range will encourage you to abandon fixed ideas. Please contact Merbok to discuss your specific applications and requirements.